Working with several clouds is more common nowdays. 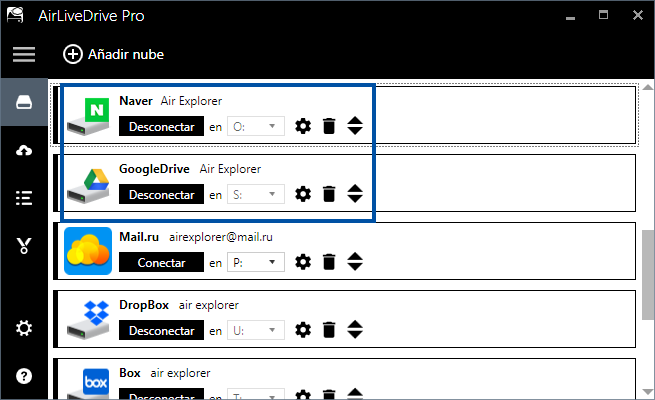 It is very easy with Air Live Drive to work with several clouds in your computer and transfer files from cloud to cloud. If you have accounts in Google Drive and Naver, you can move files between them with only one program. First you have to add your Google Drive and Naver accounts to Air Live Drive. 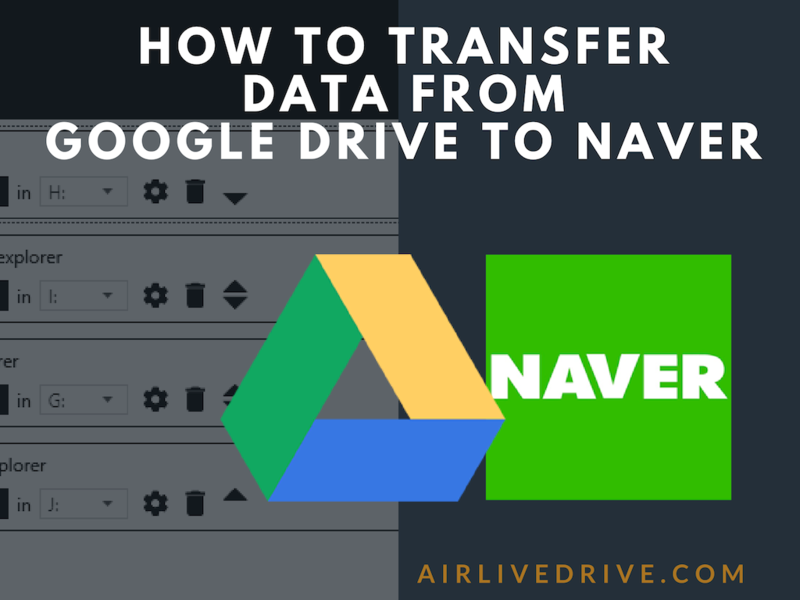 Assign the Google Drive and Naver accounts to a disk drive. 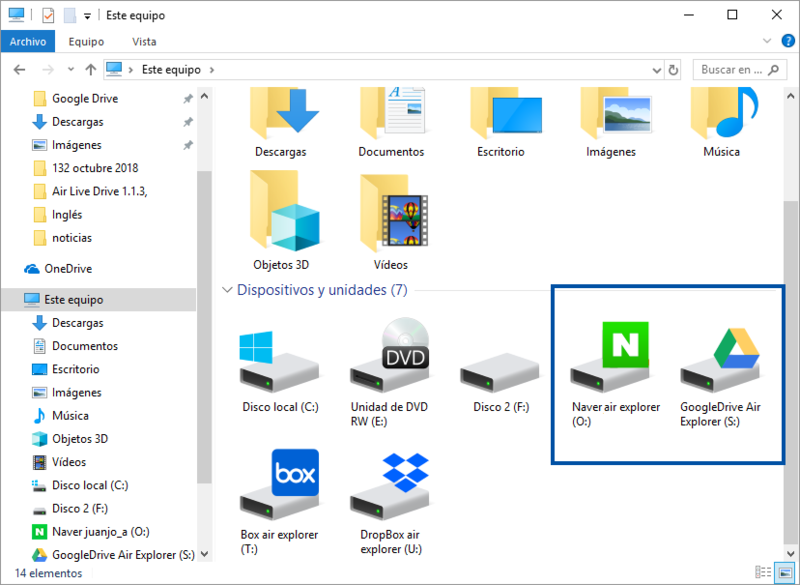 Open your clouds in the Window Explorer. And drag/drop your files between the clouds. I find your client amazing. But I need support for Google Team Drive (S), and I discovered that it is not supported, only the main Goigle Drive, unfortunately. Please add a support S, it is very necessary. Download Air Live Drive and start working with your online files saving space on your hard drive. How can I share links with Air Live Drive? If you don’t mind spending a short time, you can translate Air Live Drive into another language.